1 Put these following ingredients : Tempe, shallots, garlic, chillies, kaffir-lime leaves, salam leaves, galangale & lesser galangale in a large/deep saucepan. Add-on 2 liter cold water. 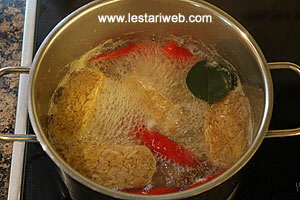 2Bring to boil & cook until all the above ingredients becomes soften. Remove from heat. 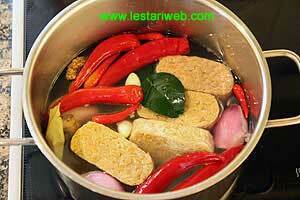 3 Take out all ingredients except galangale & salam leaves. Keep the stock. 4 Put all the other ingredients for the paste in a mortar/blender and grind/blend until smooth. 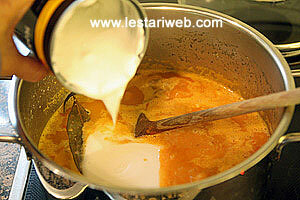 (If necessery add a little water from the stock to help the blending process). Add the paste into the pan. 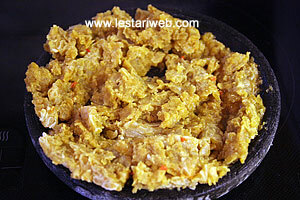 5 Put tempe in a mortar & bruise/crash lighltly with the pestle until tempe is torn apart ( see pic)). 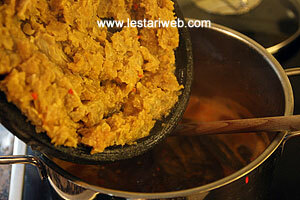 6 Add the paste and pounded tempe into the saucepan. Bring all these over high heat to boil. 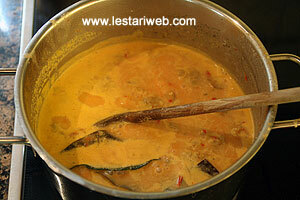 7 Adjust the stove into medium heat, add the coconut milk & bring to boil. Stir occasionally. 8 Adjust the sesoning, add salt & sugar to taste. 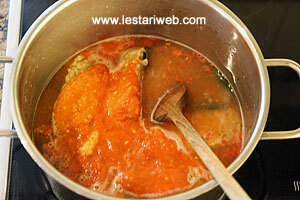 9 Continue to simmer until the sauce becomes thicker. Stir frequently. 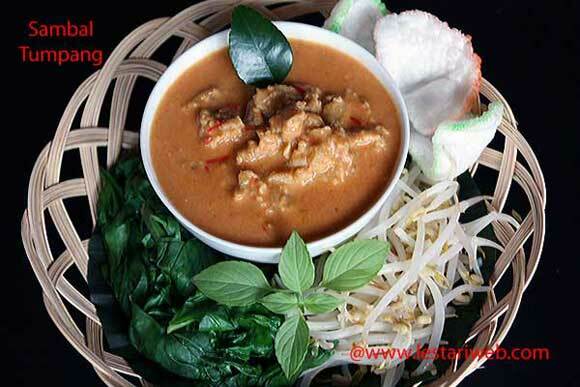 10 Serve hot with rice & blanched vegetables.